What a great opportunity to own both units of this duplex. Location and opportunity say it all! 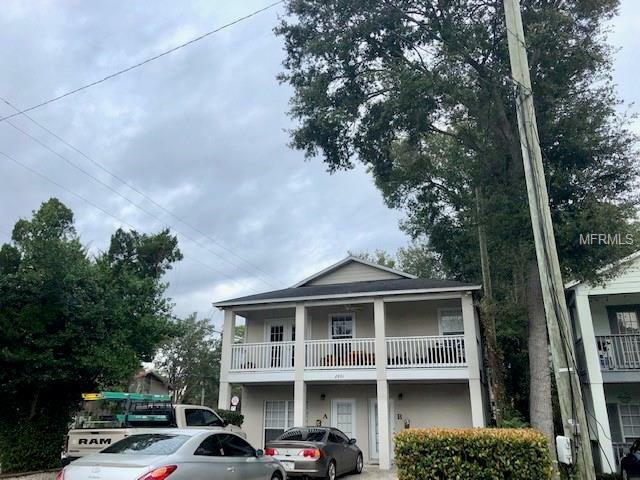 This well-maintained duplex is located in Downtown Orlando's Milk District! Each unit has 2 bedrooms and 2 baths and comes with refrigerator, range, and dishwasher. Each unit has a dining area and a spacious family/living room. Downstairs unit has a nice size backyard with privacy fence. Upstairs unit has a side yard and storage area. And the long driveway allows for plenty of parking. Laundry room in each unit. The downstairs unit is currently being rented for $1500 per month, and the upstairs unit is being rented at $1450 per month. This duplex won't last long as it is close to the bus line, restaurants, and shopping downtown.